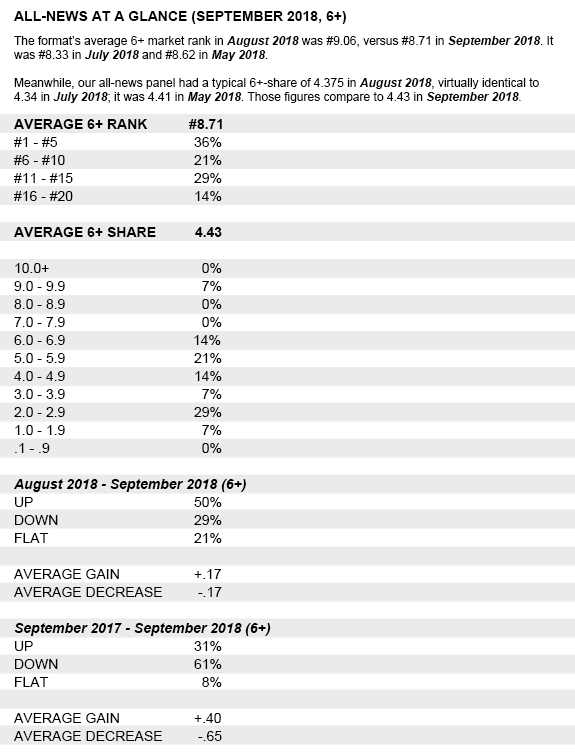 LOS ANGELES — A review of all-news properties initiates our four-part series of September 2018 ratings recaps. 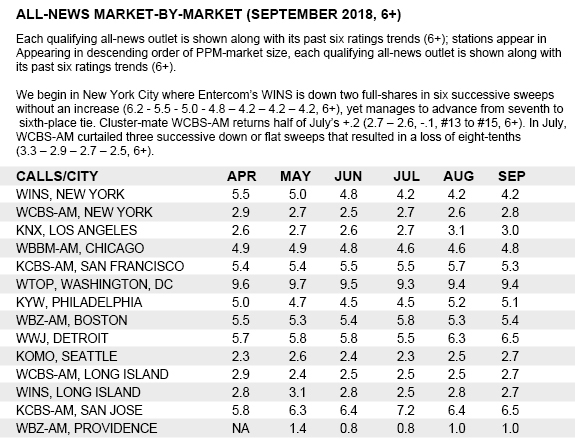 The following scoreboards reflect data from all-news stations that appear in the top 20 (6+) in September 2018, a ratings period that covered August 16 – September 12. 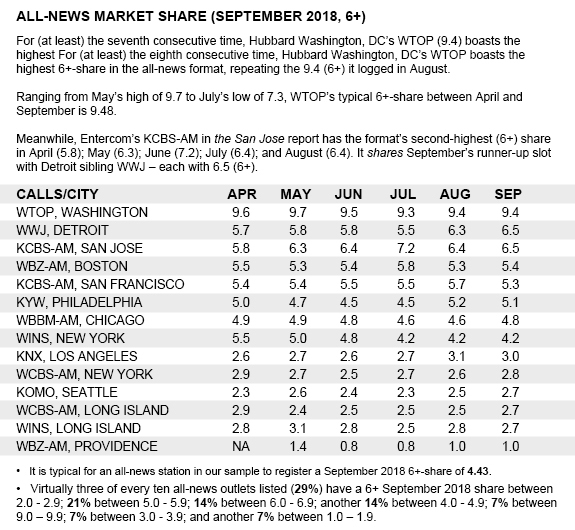 Among qualifying all-news properties, approximately seven of ten are either up or even month-to-month (71%, August 2018 – September 2018, 6+). 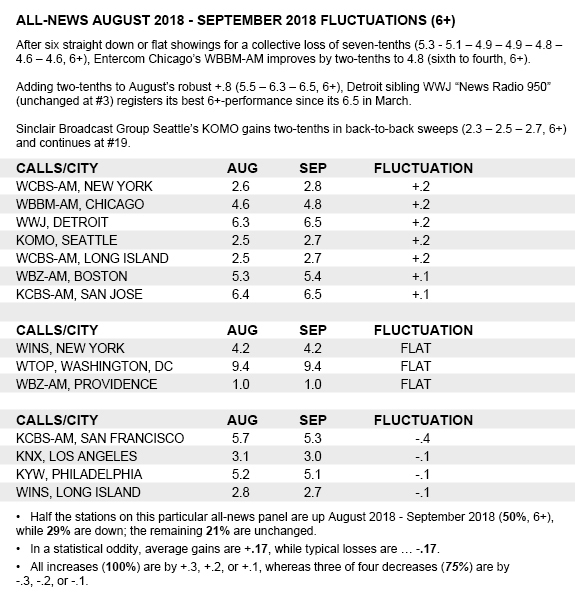 While the vast majority of outlets on this particular panel program news around-the-clock, a few run talk blocks in addition to their news commitment, making them genuine news – talk hybrids. 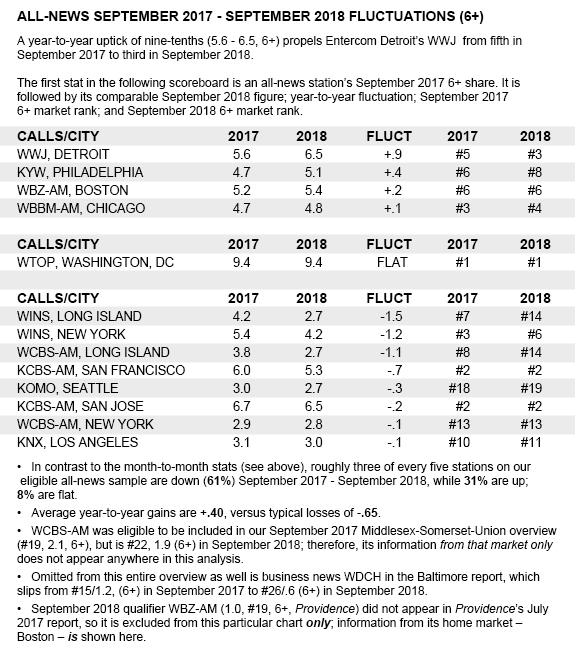 All but three facilities listed here are owned by Entercom. 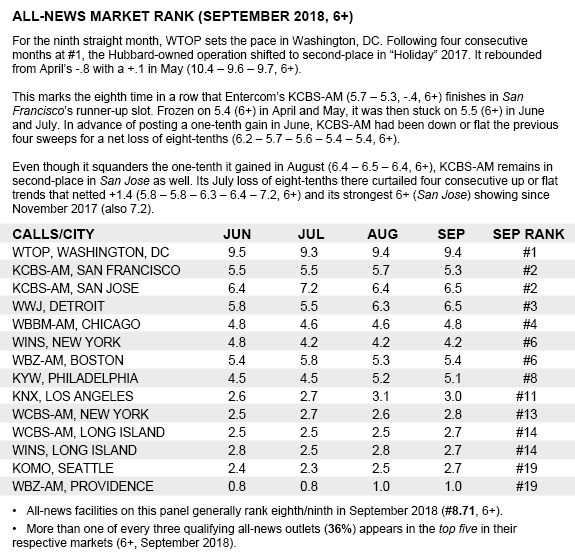 The exceptions are iHeartMedia’s WBZ-AM, Boston (also listed in Providence); WTOP, Washington, DC (Hubbard); and KOMO, Seattle (Sinclair Broadcast Group).